The production of plastic profiles and film is carried out with highly developed dies in which the geometries are coordinated precisely to the flow properties of the plastics. This coordination often requires long iteration loops in simulation and experiment. These loops represent a considerable cost and time factor, and threaten the prospects of manufacturing in high-wage countries. The Institute of Plastics Processing (IKV) in Industry and the Skilled Crafts at RWTH Aachen University is, as part of the Cluster of Excellence entitled "Integrative production technology for high-wage countries", carrying out research together with its research partners CATS (Computer-Assisted Analysis of Technical Systems), the ILT (Institute of Laser Technology) and the WZL (Laboratory for Machine Tools and Production Engineering) at RWTH Aachen University, into a new approach to replace manual trials and evaluations with an automatic algorithm. The problem is that the algorithm supplies geometries that cannot always be replicated with conventional manufacturing processes. 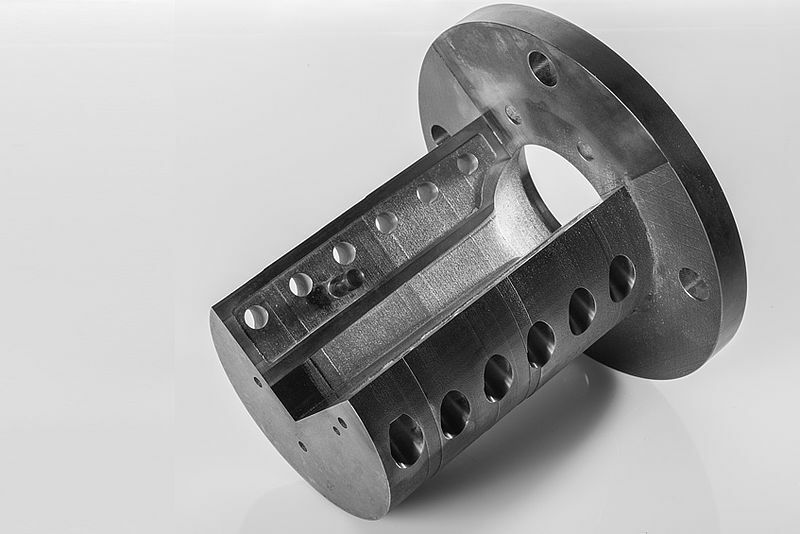 One possible solution is additive manufacturing, whereby steel powder is turned into a compact solid through local melting. The use of optical machining processes instead of conventional mechanical processes increases the freedom of design. On the one hand, very complex contours can be replicated, and on the other, there is no restriction to the maximum machining depth. This means that a profile die does not have to be built up from numerous plates. This new production technique saves a considerable amount of development and production work. The roughness of the die surface that is unavoidably created on melting the powder is both a curse and a blessing. Although the roughness has to be minimised at the exit of the die so that the produced plastics surfaces have an acceptable finish themselves, it does bring about a much better rinse behaviour. It was shown in a laboratory trial, for example, that a colour change in an additively manufactured extrusion die can be carried out around 25 percent faster than with a conventionally manufactured die. 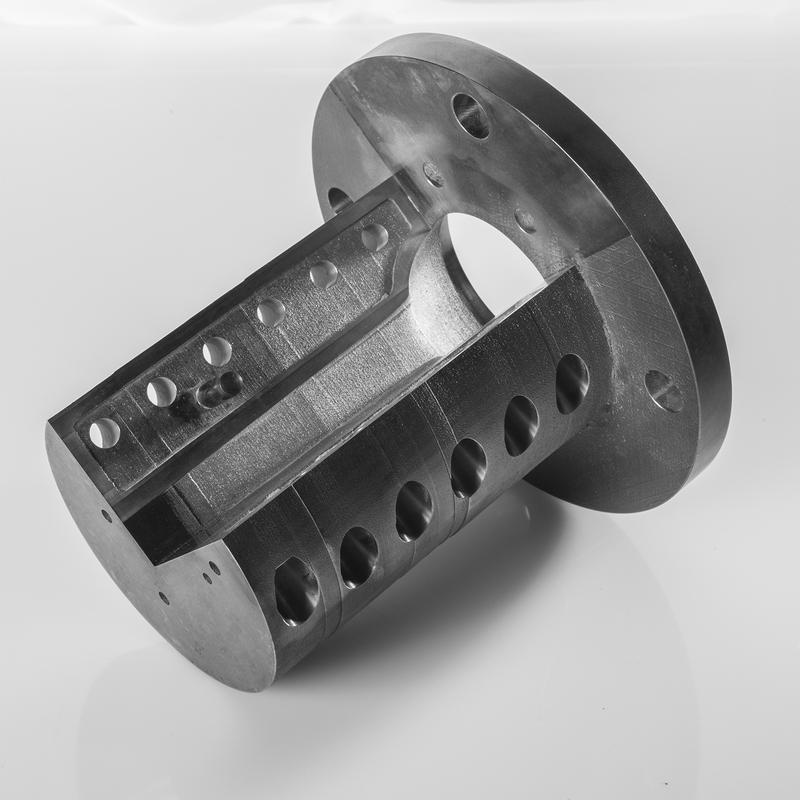 The research teams from the Excellence Cluster in the fields of flow simulation, additive manufacturing, tooling machines and plastics technology, designed an extrusion die as a demonstrator, and produced it by additive manufacturing. This demonstration die exemplifies a production system in which the design is performed automatically without any time-consuming trials. At the same time, the die is produced in a single, fully automatic process step. The number of assembly steps is reduced and the improved rinse properties allow, for example, much faster colour changes. Funded by the German Research Foundation (DFG), more than 25 institutes at RWTH Aachen University are carrying out joint research in the Excellence Cluster "Integrative production technology for high-wage countries" on sustainable solutions to keep the production technology sustainable in Europe. The research findings will be further developed in a number of follow-up projects in which interested parties can become involved in various forms.